My name is Sophie, a 20-something theatre blogger based in East Anglia stumbling her way through the blogging world. After countless abandoned blogs over the years, on a July evening in 2015, Essential Twenty was born. Whilst Essential Twenty’s roots are in beauty blogging, it’s been a couple of years of trial an error to find out where I want to be as a blogger. I’ve been through countless niches, but I think I’ve found the right thing for me – theatre blogging. I’ve loved theatre for as long as I can remember, but it was always a treat or me to go. Now I’m officially an adult, it’s what I choose to spend my money on. 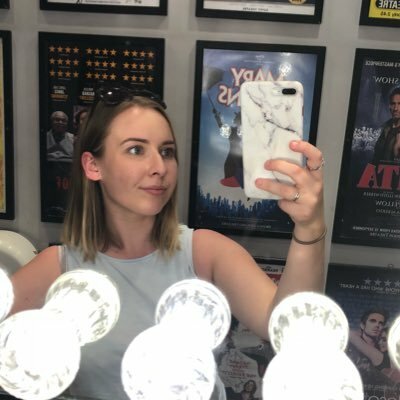 I am fortunate enough to get invited to see some shows as a member of the press but I pay for the majority of what I see, especially West End shows, because it genuinely what makes me happy. The first year of Essential Twenty was spent alongside studying for a degree in Medical Genetics, so yes, I’m a science gal at heart. Other than spending as many nights in the theatre as is physically possible alongside working life and pushing out as much theatre content as I can, you’ll find me enjoying a coffee or two in any coffee shop I can get to, binge-watching Parks & Rec or trying to make my favourite recipes as little healthier. I spend a couple of weekends a month in London trying to catch as many shows as possible, but if I’m not in a darkened auditorium somewhere around the country, I can be found hammering away at a keyboard on a train up to Yorkshire or in a coffee shop somewhere, getting as much blog work done as I can. This is not my full time job (I’m a lab technician by day which I actually really enjoy, although not quite as much as I enjoy going to the theatre), but I still manage to wind up my colleagues by talking about theatre every single day.